Harry, being a supporter of the city zoo, agrees to watch a rare Tongan Weewawk until it can be brought to its mate. It needs heat, and when Harry's furnance fails he brings it to Lucy. Naturally, she loses the bird. Since it looks like a common white pigeon, Lucy searches out the bird walking around and yelling "weewawk" to attrack the lost bird among the other pigeons. 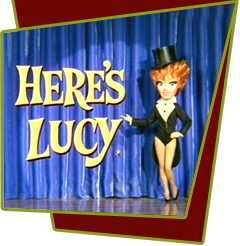 Special Notes: This episode is based in part on The Lucy Show, episode #70 "Lucy Gets the Bird".